(Present) November 2016- Chikungunya (alpha virus) – Puerto Rico (In humans). January 2016-Present – Zika Virus – mostly in the Americas (In humans). 3,625 cases in the U.S. via mosquito bites derived locally or while traveling out of country. States with highest incidence: California, Texas, Florida, Pennsylvania, New York, New Jersey, and Maryland with over 101 cases each as of Sept. 28, 2016. 22,069 additional cases reported in U.S. territories. To read more about active transmission locations click here. To read more about Zika Virus click here. November 2015- Chipotle Mexican Grill – E. coli O26 (In humans). 52 cases in 9 states. Out of the 52 cases there were 20 hospitalizations. California, Washington, Oregon, Minnesota, Illinois, Ohio, Pennsylvania, New York, Maryland. To read more about this incident click here. 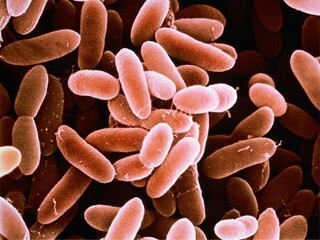 To read more about E. coli click here. October 2015- Rabies in New Jersey, USA (In humans). Three people were bitten by a cat that was later confirmed to have rabies. One of the three bitten was able to get control of the cat. It was turned over to Animal Control. To read more about rabies click here. October 2015- E. coli in Maine, USA (In humans). 20-month old boy died from an illness that was caused by E. coli bacteria. Maine state officials won’t confirm the death of the toddler. Two children were hospitalized within 6 hours of each other. Both visited the same county fair petting zoo. October 2015- Rabies in Wyoming, USA (In humans). Photo of rabies from fcps.edu. A 77 year old woman was bitten by a bat, and contracted rabies. This was the first human case in the state. September 2015- Salmonella Outbreak in Minnesota, USA Chipotle restaurants (In humans). 45 people were reported sick, ranging from the of 15-67. Of the 45 people, five were hospitalized. To read more about this outbreak click here. To read more about Salmonella click here. This is unrelated to the cucumber salmonella outbreak. September 2015- Listeriosis outbreak across multiple states linked to Soft Cheeses that are distributed by Karoun Dairies inc (In humans). There have been 24 cases. To read more about Listeriosis click here. September 2015- Cucumbers linked to Salmonella outbreak across the United States (In humans). April 2015- Present- Vesicular Stomatitis Virus (VSV) across the United States (in animals). As of September 29th, there have been 527 affected premises. There have been confirmed cases in eight states. Arizona, Colorado, Nebraska, New Mexico, South Dakota, Texas, Utah, and Wyoming. Colorado has seen the most cases so far. Last year there there was a total of 435 premises in only four states. To read more about the current outbreak, visit here. To read more about Vesicular Stomatitis Virus, click here. March 2014-present- Ebola in West Africa (in humans). To read more about the Ebola outbreak visit here. To read more about the Ebola virus, click here. 2012- present- Middle East respiratory syndrome coronavirus (MERS-CoV) (in humans). There have been 1589 globally confirmed cases. Most cases are in the Middle East, but there have been a few cases in the United States, Europe, North Africa, and Eastern Asian countries. MERS is a viral respiratory disease that was caused by a novel corona virus. To check out the WHO fact sheet on the MERS-CoV outbreak, click here. To learn more about MERS-CoV, click here.